for your genealogy record keeping. Each a little different than the other. This is a beautiful family history and pedigree journal - soon to be your family's cherished heirloom. Coil-bound 32 page booklet. Contains blank charts. a variety of artistic trees, and record-keeping forms. Perfect for the genealogy record-keeper in your family. Your family historian can enter names and dates for preservation and future generations. From newly born to 4th great grandparents - this journal will beautifully record them all. A variety of blank trees, pedigrees, charts and forms to fill in your family's names, birth dates, spouses, cousins, aunts, uncles, DNA matches, family reunion records, and much more. Charts enough for ancestors on both paternal and maternal lines. Pages for listing siblings, aunts, uncles, and also charts four your children's other parent to fill in. 32 pages; Book size: 8.5" x 11" All your children and siblings will want a copy - makes a great gift. Get your children and grandchildren started on their family history. 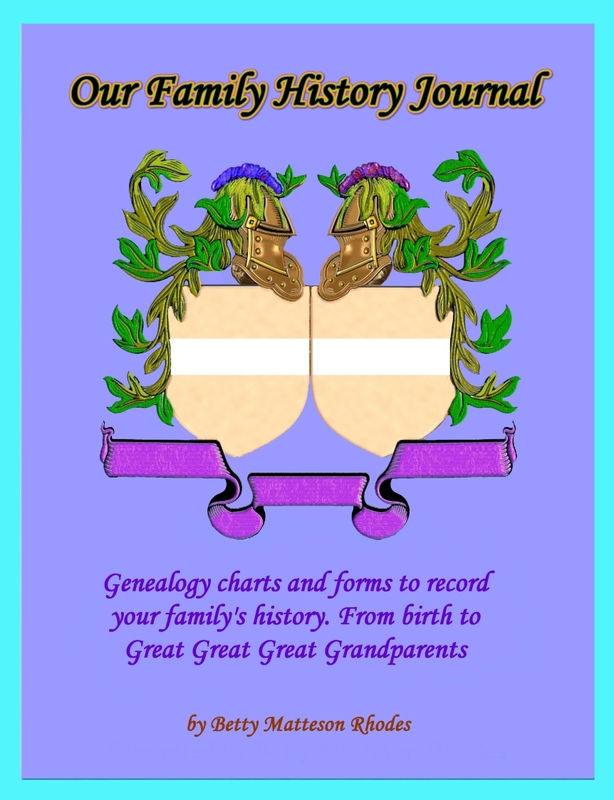 This is a beautiful family history journal - soon to be your family's heirloom to pass down. 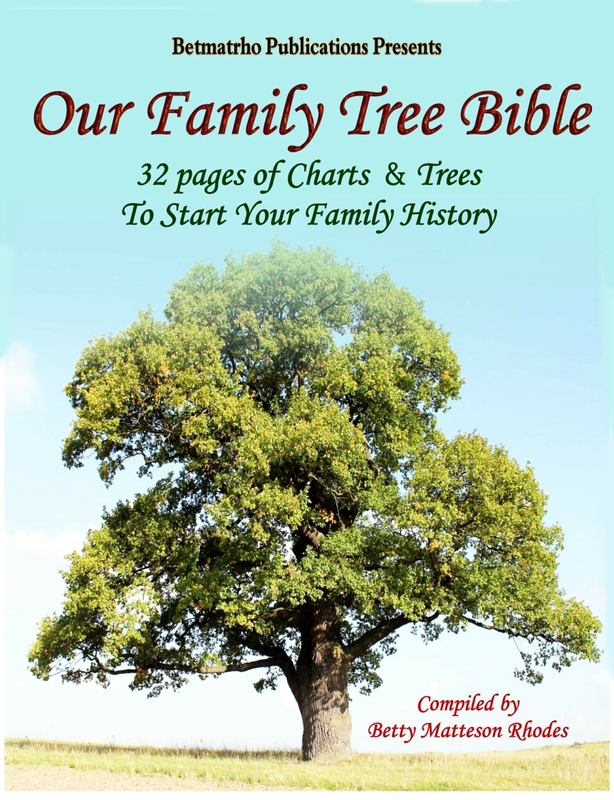 A 32 page booklet that contains blank charts, forms and family trees of several different kinds. Perfect for the genealogy record keeper in your family to record your family's names and dates for preservation. 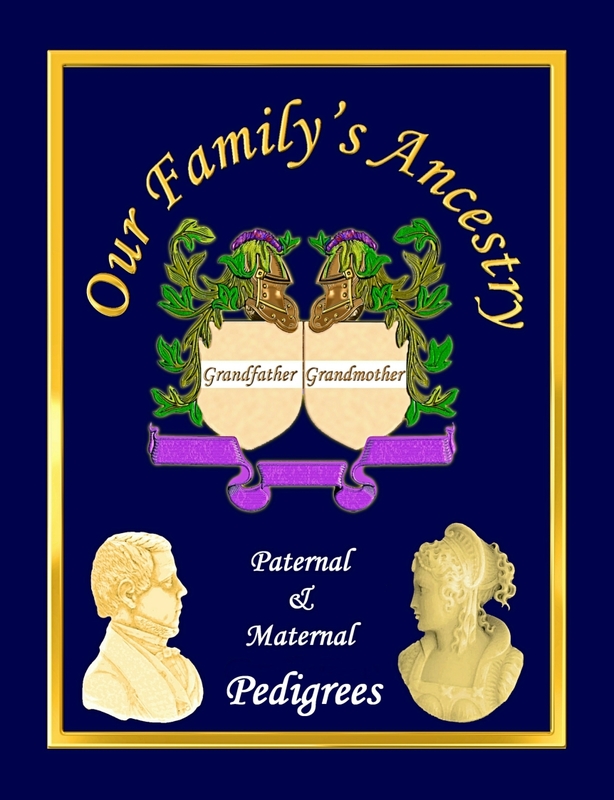 From newly born to 3rd great grandparents - this journal will beautifully record them all. 25 different charts and forms to fill in with your family's names, birthdays, etc. 32 pages; Size 8.5" x 11"
32 pages of beautiful charts and trees for the family to fill in the blanks. This booklet is a workbook that contains blank charts, forms and family trees of several different kinds. Perfect for the genealogy record keeper in your family to record your family's names and dates for preservation. From newly born to 3rd great grandparents - this journal will beautifully record them all. 25 different charts and forms to fill in with your family's names, birthdays, etc.